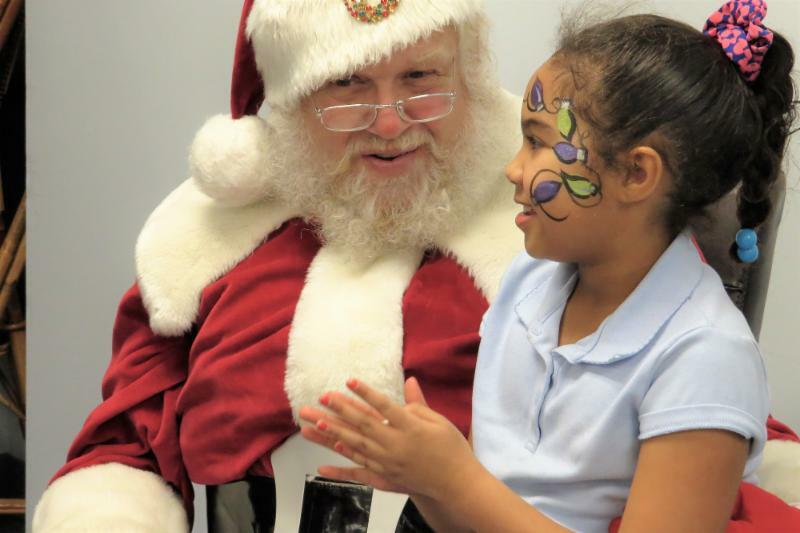 Volunteers and donors joined together to spread generous helpings of holiday cheer throughout Eva’s Village this winter. We would like to thank each person who contributed their time, talent, and support to put together the festive celebrations that created holiday magic at Eva’s. We invite you to view more photos of our holiday celebrations. Mr. and Mrs. Claus (and a magician with a live dove!) paid a visit to the children of Eva’s Village just a few nights before Christmas. 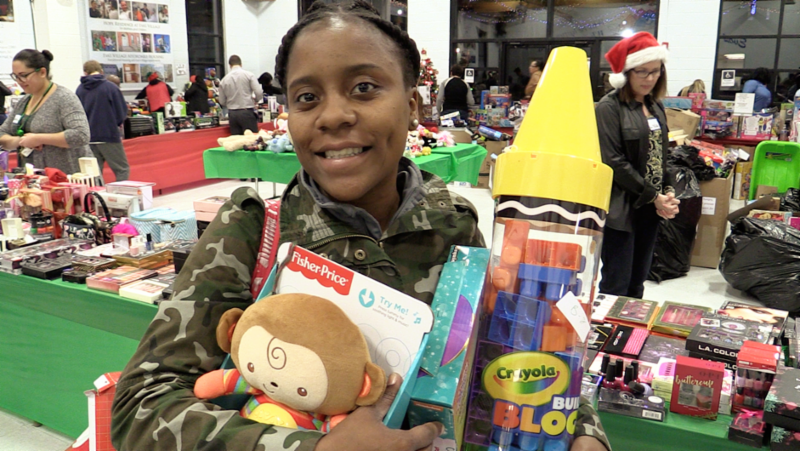 75 volunteers spent 400 hours sorting and displaying 4,000+ toys so that Eva’s residents could chose gifts for their children. Volunteers also filled 400 bags with donated gifts for Community Kitchen guests on Christmas Day. 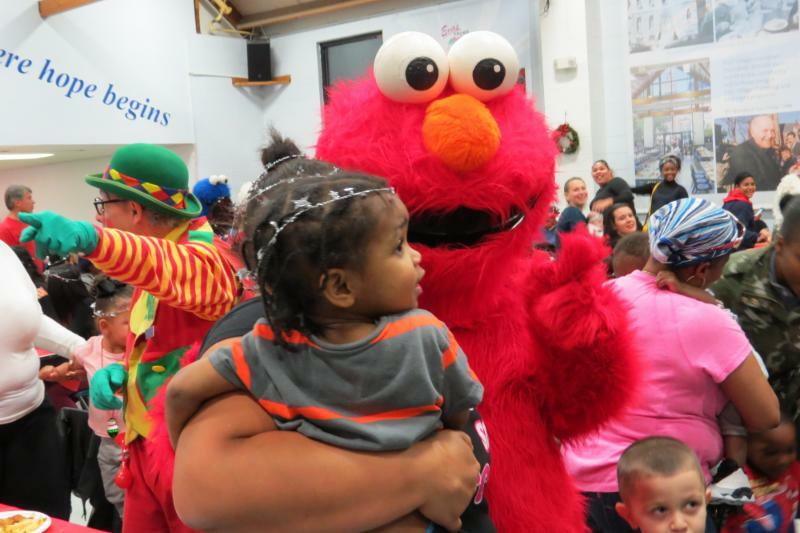 A team of volunteer elves, storybook characters, and musicians joined in a Holiday Express production, led by Tim McCloone and underwritten by the Cohen family, to serve a festive meal and entertain Eva's Village residents. State and local elected officials turned out to serve a delicious Thanksgiving dinner to Community Kitchen guests. 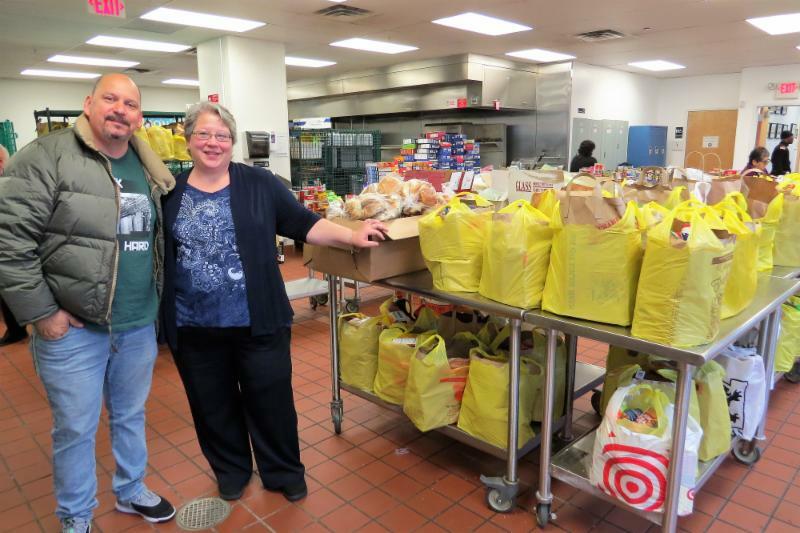 We are grateful for Market Basket’s annual donation of the meal with all the trimmings, and to others who also contributed food. "We share a mission about serving people in need,"
When an early November fire destroyed the Father English Food Pantry in Paterson, Eva’s Village Culinary School, located just two blocks away, stepped in to help while they repaired the damage.The School's training kitchen hosted the temporary food pantry for more than a month to serve the 100-150 people who depend on it for daily groceries. The space was available because Eva's culinary students were off-site on internships to complete the last module in their 6-month training program. 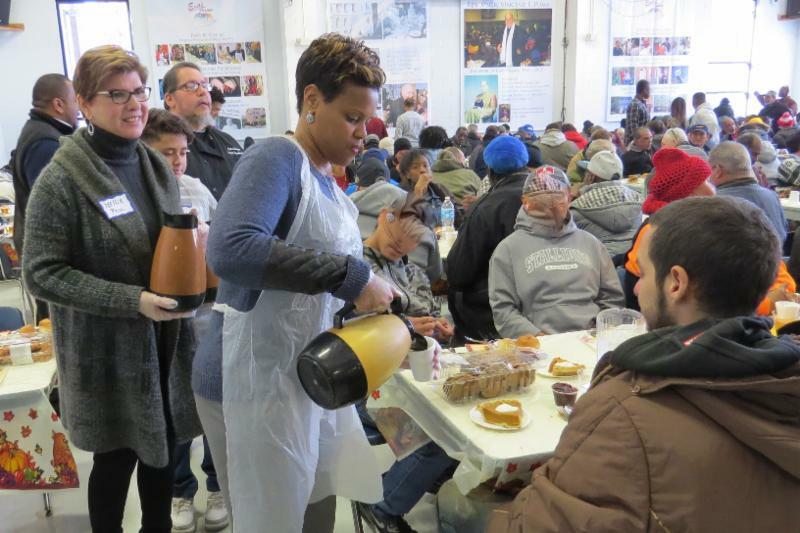 The kitchen and walk-in freezers accommodated daily grocery distributions, plus nearly 1,500 turkeys and all the ingredients for Thanksgiving meals. 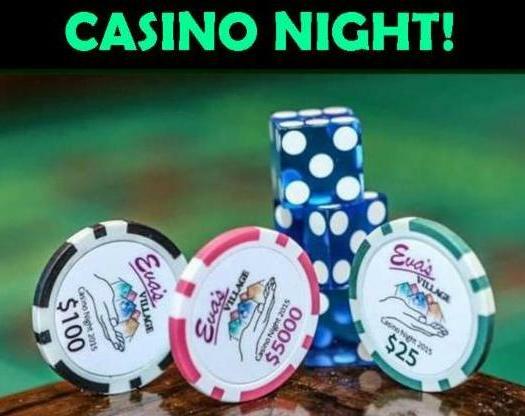 Try your luck at our 6th annual Casino Night on Friday, March 2. This event raises critical funds to support the programs that make Eva's Village the place 'where hope begins." ﻿Reserve sponsorships, tables and tickets on-line today! Visit our event page for more information .